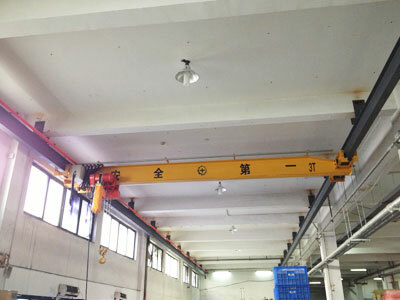 1 ton overhead crane is a sort of small overhead lifting equipment designed for infrequent and light duty service. It typically comes in single girder construction and is equipped with CD or MD electric hoist. 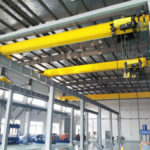 The design features of overhead crane 1 ton can vary widely according to the type of load to be lifted, working environments, facility conditions and operating regimes. 1 ton overhead bridge crane generally falls in two main configurations, top running and under running. 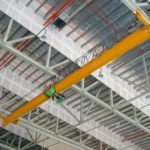 It is the most common form of overhead bridge crane that is supported by either building columns or engineered columns. 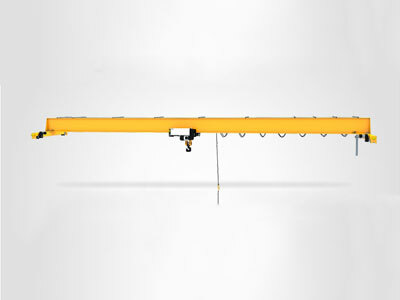 The top running overhead crane travels on top of rails mounted on runway beam. 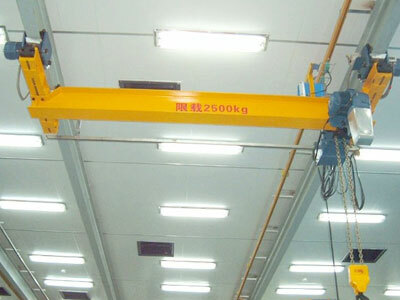 It is also known as underhung or suspension crane since it is supported from the building roof structure and travels on the bottom flange of runway beam. The crane is specifically designed to maximize headroom. Underhung bridge crane is ideal for situations where the building height is inadequate or there are no columns inside the facility. The 1 ton bridge crane can also be built with free standing structure to meet your needs. Additionally, a variety of lifting attachments are available to be fitted with your crane, such as hook, grab bucket and electromagnetic chuck. Light dead weight and small wheel pressure. Easy to use, simple to install and maintain. Compact structure and good rigidity. Environments: machine shop, warehouse, storage yard, chemical plant, steel mill, powerhouse, repair shop, etc. Accessories: lights, limit switches, warning horns, etc. To select a proper lifting solution for your plants, you should specify several essential parameters of the crane, including light height, span, lifting speed, runway height and length, clearance, hook approach, electrical requirements and control requirements. And also some specific conditions must be taken into consideration, such as environmental conditions and safety precautions. 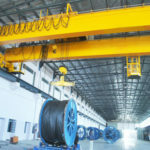 If you are not sure which form of overhead crane can work for you, please feel free to contact us online and discuss your lifting requirements with our experts. Our excellent technical team will design the most economical and efficient solutions for your businesses. 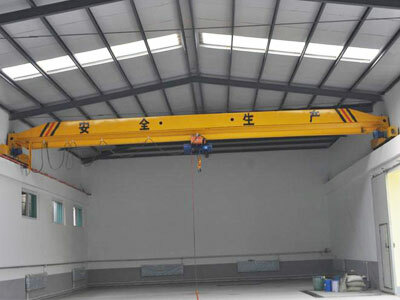 Why Choose Dafang 1 Ton Overhead Crane? 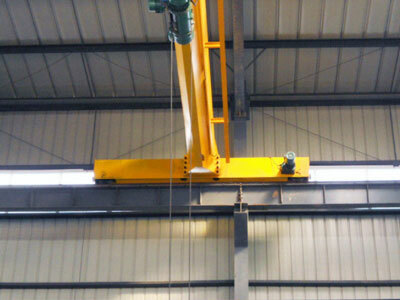 Dafang group is a well-experienced lifting equipment manufacturer and supplier. 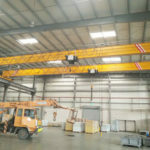 When you buy an overhead crane from us, you can benefit a lot ranging from the crane design, manufacture to delivery, installation, commissioning and maintenance. 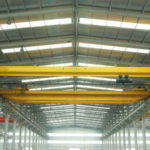 Whatever your applications, our overhead cranes will be designed and built for the utmost efficiency, safety and reliability. 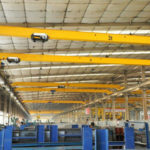 Want to know 1 ton overhead crane cost? call us now!